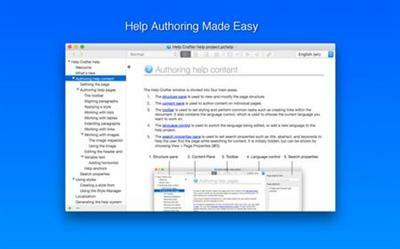 Help Crafter is an essential tool for the Mac developer for authoring help content. Help crafter's full featured word processor includes support for tables, lists, resizable images and more. Style based editing allows you to maintain a consistent look across pages, and make global changes easily.